The riders were stuck for about 10 minutes, dangling from their seats. 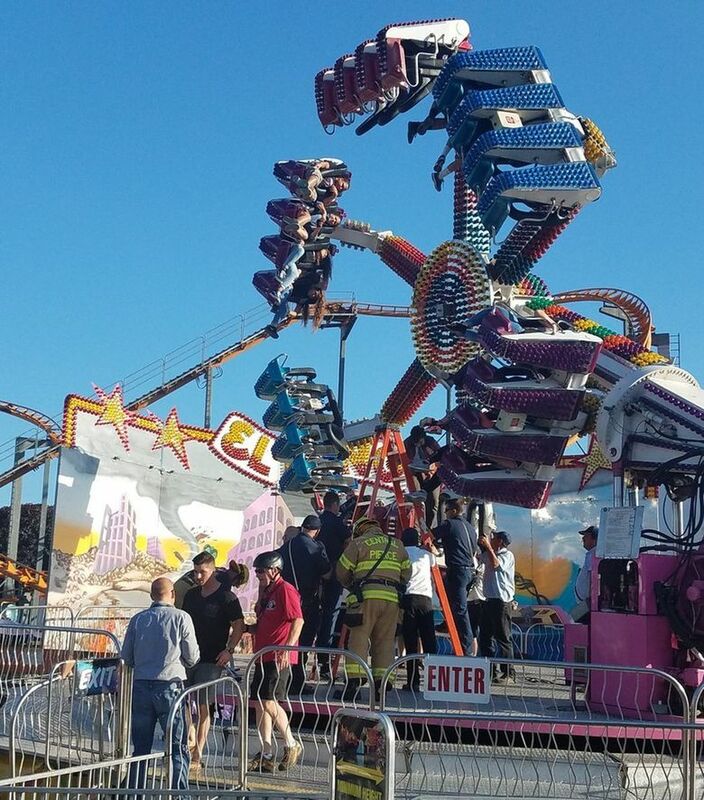 A carnival ride in Puyallup that malfunctioned Monday afternoon, leaving riders dangling from their seats and prompting a rescue operation by firefighters, is out of operation until repairs can be made. Nineteen people were riding “El Nino” at the Washington State Fair, when it stopped moving around 6 p.m., said Stacy Howard, spokeswoman for the fair in Puyallup. The riders were stuck for about 10 minutes. No one was injured, according to Central Pierce and Rescue. The president of Funtastic Rides Company, which owns the ride, emailed a report of the incident to Washington State Department of Labor and Industries (L&I) on Tuesday afternoon and said the problem appears to be electrical. The ride will remain closed pending an investigation. L&I also revoked the company’s permit for the ride, according to department spokesperson Matthew Erlich. The company will need to apply for a new permit once a third-party investigation is complete and it has made repairs, Erlich said in an email. All fair rides are inspected multiple times a day, and every ride has a minimum of three rotations each morning before any guest can ride it, Howard said. Staff reporter Asia Fields contributed to this report.